If you have been watching the news this week you will have seen one story which has been gaining traction in western media coverage, that of the mosquito-borne illness known as the Zika Virus, which authorities are saying will cause birth defects for expecting mothers. Latin American governments, in conjunction with the UN’s World Health Organization (WHO), are claiming that over the past four months, they have ‘received reports’ of nearly 4,000 cases ofmicrocephaly in newborns – and they are claiming these are all linked to the Zika Virus. This information has served as the chief catalyst for the current wave of fear. 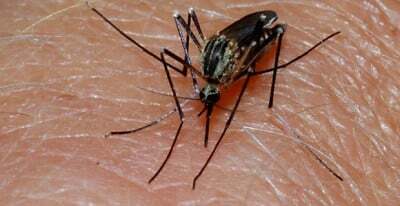 The World Health Organization says at least 20 countries or territories in the region, including Barbados and Bolivia, Guadeloupe and Guatemala, Puerto Rico and Panama, have registered transmission of the virus. Although the Zika virus has been documented since the 1940s, it began its assault on Latin America in the past several months. The hardest-hit country has been Brazil, where more than 1 million people have contracted the virus. In the past four months, authorities have received reports of nearly 4,000 cases in which Zika may have caused microcephaly in newborns. The condition results in an abnormally small head and is associated with incomplete brain development. Colombia, which shares an Amazonian border with Brazil, reacted to its own Zika outbreak, numbering more than 13,000 cases, by urging women not to get pregnant in the next several months. Other countries, including Jamaica and Honduras, also have urged women to delay having babies. If contracted, the Zika Virus is said to have an incubation period of only 5 to 10 days, and authorities are claiming that it’s within this window that mothers are at risk. Some common symptoms include red spots on the skin, intermittent fever, spots on the eyes and later on with persistent pains in muscles, joints and head. Clearly though, the alarm for a Zika epidemic is already being sounded internationally. This has tremendous potential implications on society. In the US, the Center for Disease Control and Prevention (CDC), is warning that pregnant women not to travel to 14 countries in Latin America. We were also told that last week, the US recorded the first case of microcephaly “linked to Zika” virus in Hawaii. According to The New York Times, the baby’s mother “might have” been infected when she traveled to Brazil in May last year. The World Health Organization (WHO) also warned today that the virus will spread to both North America and South America. Based on how easily the US population was whipped into a hysterical haze during the Ebola scare in 2014, it goes without saying that if Zika ‘reproductive’ fears hit the US in a big way it would be a political circus of fear and media manipulation. It’s not clear exactly how they have come to the conclusion that this apparent epidemic is a result of the Zika Virus, and not through some other combination of factors. Neither journalists nor the world’s scientific community are questioning the current course of public policy on this issue. Why? No one is addressing that it is nearly impossible to make a scientific ruling on these issues in such a short space of time, much less institute government guidelines on reproduction. Morality says that people shouldn’t have that control” over procreation, Figueroa said. “But the church also isn’t going to say something that runs contrary to life and health. This is a first in human history – central government advocating for a universal ban on procreation, and probably the most significant development in social engineering since the outbreak of the AIDs virus in the early 1980’s. The public should not underestimate the significance of this latest story. Again, while there are definitely real risks associated with Zika and other related viruses to health and women’s prenatal health, is it premature to call for what amounts to a ‘no child policy’? How this story has escaped critical analysis in the mainstream media and discourse is a testament as to how well the establishment has done in conditioning the public to accept a range of modern eugenics-based ‘population reduction’ policies.